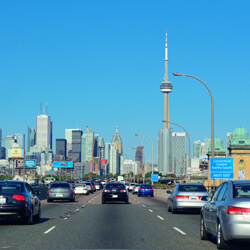 According to the Financial Services Commission of Ontario (FSCO), car insurance rates for many Ontario drivers will be going up at renewal on average 2.70 percent. Get ready to pay more for your Ontario auto insurance. The auto insurance rate changes approved by FSCO (a regulatory agency of the Ministry of Finance) are out and the news is not good for Ontario drivers. In the first quarter (Q1) of 2019, approved rates increased on average 2.70 percent. And while that increase is smaller than the increase seen in the previous quarter, this rise in approved rates is no anomaly. In fact, there has now been six full quarters of upward movement. In Q4 of 2018, approved rates increased 3.35 percent. Q3 rates increased on average 2.06 percent, in Q2 they increased 1.11 percent, in Q1 they went up 2.23 percent, and at the end of 2017 they increased 1.03 percent. This upward trend is not entirely unexpected. Last year, it was widely reported that auto insurance rates were expected to increase Canada-wide in the neighbourhood of five percent. The reality is, however, that many Ontario drivers could see an even greater increase in what they pay for coverage as claims costs in the province are some of the highest in the country. It's a reality that is not lost on the agency. "FSCO continues to monitor two evolving trends that may be affecting auto insurance rates in Ontario," FSCO says in its quarterly statement. "First, insurance companies are reporting an increase in claims costs related to property damage, in part because of the rising cost of repairing increasingly technologically advanced vehicles. Second, FSCO notes the growing concern related to distracted driving. As the number of accidents due to inattentive driving increases, so too do the claims costs." Ontario's premier, Doug Ford, is also keeping an eye on what's going on given the government's plans "to explore options to lower rates in a responsible way, while ensuring the needs of the people are served." Backing legislation (Bill 42) that, if passed, makes it so that your postal code is no longer a factor in determining your premiums. Reducing regulation around insurance rates. Creating a regulatory framework that will allow for product innovations (like usage-based insurance technologies), electronic proof of insurance, and full electronic commerce capabilities similar to what's in place through other financial institutions. Even though the approved rates increased 2.70 percent on average, some drivers could see their rates go up as much as 11.40 percent. How much your insurance will go up when it's time to renew your auto insurance policy will all depend on who you have your coverage through and the change in rates they're allowed to implement. "Consumers are urged to shop around for auto insurance," advises FSCO. "Rates for the same coverage vary based on each insurer's claims experience and the insurer's rating system." One of the most important factors in lowering your car insurance rate and getting the best coverage for your needs is to shop around and compare insurance quotes. At Kanetix.ca you can do just that in minutes. Find the lowest car insurance rate out there and compare car insurance quotes today for a better price. Updated regularly to reflect FSCO's most current quarterly announcement.